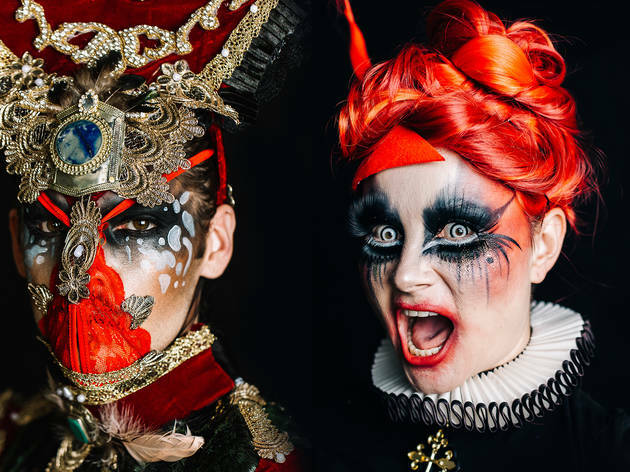 Head to Sydney Fringe's Alexandria warehouse hub on opening weekend for two nights of dark arts, drag and party, with a queer masquerade thrown by Sydney favourites Heaps Gay. The music line-up includes live acts Lupa J, Post Motel and Rebel Yell (Bris), plus DJs Sveta, Okapi Neon, Jikuroux and Ayebatonye. Providing the eye candy is a line-up of artists and performers that includes Caroline Garcia, Anna May Kirk with Alice Joel, Honey Long with Hayley Coughlan, Matt Grant, Burley Chassis, Canoe, Torrie Torrie, the Gloominati, Akashic, Medusa Blunt, and heaps more. Check out guide to Sydney Fringe and our hit list of highlights.